Singers are invited to join The Athenaeum Singers in a day of music making. The ‘Come and Sing’ workshop on 6th April will tackle the Poulenc ‘Gloria’ from scratch, promising a challenging day of learning interspersed with a lot of fun and a great sense of satisfaction. The ‘Come and Sing’ will be held at Warminster Baptist Church, registering at 9.30 and finishing by 4.30. Please bring your own lunch- tea and coffee will be available. Admission is just £10 for the day, £5 for students, and this includes your score hire. If you have ever wondered what singers get up to in a whole two hours of rehearsal each week. The Athenaeum Singers are offering the chance to find out, without charge. The first rehearsal after Christmas on Tuesday 8th January will be open to visiting singers to come and experience an evening making music under the leadership of Cole Bendall, who has been directing the singers since last September. After just a few months of working with Cole the choir have responded positively to his ease of manner, knowledge of the musical repertoire and bubbling enthusiasm. The rehearsal will run through the main choruses in Haydn’s Creation to give the singers a feel for the new piece which they will be presenting in June. At this stage, the measure of progress may well be arriving at the end at roughly the same time as the other parts, or managing not to collapse in a heap before this point is reached. Either way, an enjoyable challenge is assured for the undaunted. The open rehearsal takes place at Christchurch, Weymouth Street, Warminster BA12 9NS on Tuesday 8th January, starting at 7.30 but please arrive a little earlier to collect music and a welcome drink. Through the generosity of its supporters, The Athenaeum Singers of Warminster will be donating nearly £480 to two cancer charities. The money was raised through a retiring collection at their carol concert in Christchurch last week. The audience, in excellent voice, participated in singing some Christmas favourites and were treated to a varied programme of carols from the choir. This included a contemporary carol.’ The sleep of the Infant Jesus’ by Gareth Treseder. The carol is this year’s commissioned composition in the ‘Choirs against Cancer’ initiative. Choirs are invited to perform the carol and include a contribution to Macmillan Cancer support. Dorothy House in Winsley is a local charity which will also benefit from the evening. Director of Music, Cole Bendall, enthralled the audience with a tenor solo, The Corpus Christi Carol, and the choir’s accompanist, Dr Douglas Stevens treated the audience to one of his own compositions. The programme was interspersed with poems and readings ably presented by members of the choir which were at once both highly amusing and thought provoking. The concert was followed by refreshments and hot punch and the festive atmosphere was greatly enjoyed. The whole evening had a warmth and joyousness which was a perfect introduction to Christmas. As one audience member commented, the only trouble with the concert was that there wasn’t a second half! The Athenaeum Singers are looking forward to presenting their first concert under their Director of Music, Cole Bendall on 1st December. The programme spans more than four centuries, three languages and ranges from traditional choral favourites to contemporary Christmas pieces. The Vivaldi Gloria, a joyous hymn of praise written to be performed as part of the Mass, is thought to date from 1715. In addition to energetic chorus pieces it features solo items by soprano and mezzo soprano singers. The Haydn Missa brevis St Joannis de Deo , composed sixty years later, is frequently known as the ‘Little Organ Mass’ in reference to the organ solo which introduces the soprano in the Benedictus. This ‘short Mass’ features several clauses of text sung simultaneously by different voices, thus radically shortening the text. The pieces in celebration of Christmas traverse Praetorius’ chorale style, Es ist ein Ros entsprungen, through two beautiful 20th century pieces, Herbert Howells, Here is the Little Door and Elizabeth Poston, Jesus Christ the Apple Tree, to Gareth Treseder’s 2017 carol, The sleep of the Infant Jesus. The singers are delighted to welcome back Simon Dinsdale to the console of the Minster organ. Simon is sub-organist at The Royal Memorial Chapel, The Royal Military Academy Sandhurst and regularly plays at cathedrals up and down the country in addition to roles as accompanist, continuo player and organist to a number of choirs. Soprano soloist Jillian Bain Christie, who originates from Scotland, trained originally in the visual arts before developing her singing career. Now London based, she aims to combine both art forms. Mezzo soprano soloist Rhian Davies graduated from Cambridge in 2017 and is now a Post Graduate vocal student at Trinity Laban Conservatoire of Music. In addition to their solo pieces, we look forward to hearing them together in the Laudamus te of the Gloria. The concert starts at 7pm on Saturday 1st December in the Minster Church of St Denys, Warminster. Drinks and mince pies will be available in the interval. Tickets are available on line from tickets@athenaeumsingers.com, from Warminster Community Hub and choir members. The Athenaeum Singers of Warminster are delighted to welcome Cole Bendall as he takes on the role of Director of Music. Cole studied music at the Universities of Aberdeen, and most recently, Edinburgh, where he has been completing a PhD. He has extensive experience with choral music both in his native Scotland and internationally. This summer he reached the last sixteen in a prestigious international choral conducting competition in Romania. He weaves his career around teaching, conducting, composing, and as a tenor soloist and has an overriding passion for choral music. Rehearsals will resume under Cole’s leadership on Tuesday 4th September. This is a wonderful opportunity for new singers to join the choir at the beginning of the rehearsal period which leads to a Christmas Concert on Saturday 1st December. New singers are invited to experience three rehearsals before they decide to join so they can find out just what choral singing involves. Last September, Charles, who hadn’t sung since schooldays, allowed himself to be persuaded by a friend to ‘give it a try’. With some trepidation he came to rehearsals and found that he ‘absolutely loved it from the beginning’. The challenge of having to work at something new and achieving beyond your expectations is very rewarding, as is the sense of accomplishment when you work together to produce something worthy of putting on to an audience. The availability of on-line help in learning your part makes this accessible to lots of people. The concert will feature Vivaldi’s Gloria, Haydn’s Little Organ Mass and three hauntingly beautiful but lesser known Christmas pieces: Posten’s, Jesus Christ the Apple Tree, Howells’ Here is the LIttle Door and Praetorius’ Es ist ein Ros entsprungen. ‘What an impressive performance by the Athenaeum Singers! Confident, assured, well projected with excellent diction and dramatic communication’. The Athenaeum Singers’ performance of Elijah on June 2nd was described thus by Honorary President and ex Kings Singer, Nigel Perrin. This concert marked the 40th Anniversary of The Athenaeum Singers and was dedicated to founder, Rose Davies, who died just a few months ago. A celebratory lunch was held the following day when members past and present met at Codford Village Hall to reminisce over 40 years of choral music in Warminster. Two founder members who still sing with the choir were present and former Music Director (2003-2009), Gavin Carr and his wife, were welcomed. Greetings were received from Alan Burgess who directed the choir between 1987 and 2002. Long standing member Angus Macintosh, Chairman from 1991 to 2003, spoke of his recollections, with town twinning trips to Fleur, informal concerts and the excitement of performing in great venues like Longleat House and Wells Cathedral being notable. The choir’s involvement in world premier performances of works by Marcus Tilt, Paul Carr and Edward-Rhys Harry were also high points in his memories. The sad task of bidding farewell to both Music Director and Chorus Master fell to Chairman, Jo Casey. Wishing Rosie Howarth the very best future, Jo thanked her for her good humour and enormous patience and said that the whole choir had taken her to their hearts. Attendees were able to view a magnificent collection of photographs, press articles and programmes collected over the years, share a delicious lunch with birthday cake, and join a toast to the future. An exciting future for the choir is assured with Cole Bendall taking over the role of Director of Music in September. The Athenaeum Singers’ performance of Elijah on Saturday 2nd June will be both a celebration and a farewell. The singers celebrate 40 years of choral music during which time they have brought highly talented professional soloists and orchestras to Warminster to take part in their concerts and performed both classic and contemporary works. This concert will be their last under the baton of Edward-Rhys Harry, whose association with the choir started in September 2009 when he took the role of Music Director. After a break, the choir were delighted to welcome him back as director in 2015, working with a chorus master to take weekly rehearsals. Edward’s musical contribution to the choir has been immense and the sound of the choir has developed under his guidance. The singers will also be saying goodbye to their chorus master Rosie Howarth whose enthusiasm, energy and skills have been greatly appreciated by the choir. Mendelssohn’s popular oratorio Elijah is the work chosen for this special performance. The biblical story of Elijah is portrayed in dramatic form with soloists taking the roles of the main characters with the choir supporting them in chorus pieces. The singers are delighted to have secured Phillip Guy Bromley to play the title role: Phillip performed with the singers in 2011 and relishes the role of Elijah. The British Sinfonietta will be returning to Warminster to provide orchestral accompaniment and Simon Dinsdale will be coaxing fine sounds from the Minster organ. Also on return visits to the Minster will be soprano Mary Pope and tenor Rhodri Prys Jones. Chorus master Rosie Howarth will be a soprano soloist and the contralto roles will be sung by Olivia Gomez. Alexei James-Cudworth, a chorister from Wells Cathedral , will take the role of the youth who announces the end of the drought. The concert will take place in the Minster Church of St Denys in Warminster, starting at 7pm. Tickets are available on line and through Warminster hub- see www.athenaeumsingers.com for details. Ahab reports to Jezebel everything that Elijah has done. Jezebel accuses Elijah of prophesying against the king, for bringing the drought and for destroying the prophets of Baal, and declares that ‘He shall perish’.Elijah is afraid. God promises to comfort and strengthen him and the chorus echo this. Read the full story in 1 Kings Chapter 16 verse 29 to 2 Kings Chapter 2, verse 12. So wrote Mendelssohn in 1838, as he began to develop the idea of an oratorio on the subject of Elijah. By this point, Mendelssohn had firmly established his status as an outstanding composer and musician. Born in Hamburg in 1809, his musical talents had been nurtured from an early age. At the age of twelve he had written twelve symphonies; aged 17 he composed his Octet for Strings and completed the overture for A Midsummer Night’s Dream. By the time he left his teens, he had come to possess his own fully fledged musical style – one that many critics consider to embody the transition from the Classical to Romantic era. Elijah, one of his most resoundingly successful and enduringly popular works, was his last major composition, completed and premiered the year before he died. In 1836 Mendelssohn’s first oratorio, St Paul, was premiered in Düsseldorf. St Paul was an instant success, and in the following years performances of St Paul followed all around the world. Encouraged by the success of the premiere, Mendelssohn started on plans for a new oratorio, and settled on the subject of Elijah. In 1838 Mendelssohn’s friend the Revd Julius Schubring started to help the composer with the libretto, but the two disagreed on the nature of the work. Schubring was convinced that the oratorio should essentially be a sermon, and take the tone of a pious sacred work. In contrast, Mendelssohn believed a high level of dramatic fl air was important. “With a subject like “Elijah” it appears to me that the dramatic element should predominate, as it should in all Old Testament subjects, Moses, perhaps, excepted” he wrote to Schubring. “The personages should act and speak as if they were living beings – for heaven’s sake let them not be a musical picture, but a real world, such as you find in every chapter of the Old Testament; and the contemplative and pathetic element, which you desire, ought to be entirely conveyed to our understanding by the words and mood of the acting personages”. The difference in opinion was evidently a source of friction between the two men, while Mendelssohn was increasingly pre-occupied with other work, and the plans for the oratorio were abandoned. However, in 1845 Mendelssohn received a commission from the Birmingham Festival– a festival of international renown during the 19th century - and work on Elijah now began in earnest. In December he once again approached Schubring for help with the libretto. Although the work was to be performed in English (a language he was fluent in), Mendelssohn chose to compose using the German text from the Lutheran Bible. The translation was the responsibility of William Bartholomew, who had previously worked with the composer. Mendelssohn was closely involved in this translation to the King James Bible, corresponding in great detail with Bartholomew as he worked. Taking the subject matter from 1 Kings, Mendelssohn chose to present a series of scenes rather than a continuous story. In comparison to the earlier St Paul, Elijah makes much more of the dramatic element. Instead of engaging a narrator, the characters present themselves - a more immediate way of conveying the action. The audience is thrust straight into the drama from the very beginning: the work begins not with a typical overture but with Elijah’s declaration of the curse of drought. “My intention was to write no Overture, but to begin directly with the curse. I thought it so energetic”, wrote Mendelssohn to Bartholomew. (On Bartholomew’s suggestion, Mendelssohn eventually decided to include the expected overture, but chose to present it after the bass introduction to retain the dramatic beginning). There is an abundance of chorus numbers in the oratorio. Mendelssohn had studied Bach closely (in fact he had been responsible for the revival of Bach’s St Mattthew Passion in 1829), and fugues and chorales in Elijah gesture to his predecessor. But the dramatic element and variety of choral techniques owe more to Handel. Over 1845 and 1846, Mendelssohn was incredibly busy, and expressed a concern that the work would not be finished in time for the festival. As 1846 progressed he devoted much of his time to Elijah, and fortunately this period of intense work paid off. However, with the date of the premiere in late August, there was very little time to spare. Mendelssohn started sending drafts to Bartholomew in May; the last of which were not received until a mere nine days before the festival. The premiere of Elijah was held on the 26th August 1846 at Birmingham Town Hall. The event was highly anticipated, and the forces behind the performance were impressive: Mendelssohn conducted, the orchestra numbered 125, and the choir was 271 singers strong. The performance was an outstanding success. According to the review in The Times, “The last note of “Elijah” was drowned in a long-continued unanimous volley of plaudits, vociferous and deafening…Never was there a more complete triumph – never a more thorough and speedy recognition of a great work of art”. Four choruses and four arias were encored. “No work of mine went so admirably the first time of execution, or was received with such enthusiasm by both the musicians and the audience, as this oratorio,” declared a delighted Mendelssohn. However, despite all of this he was not completely satisfied with the finished work, and upon his return to Leipzig in September he immediately set about revising the oratorio. Many performances of the revised oratorio followed in 1847, most notably before Queen Victoria and Prince Albert in London in April under the supervision of the composer. As the year progressed, Mendelssohn began work on a third oratorio, Christus. However, by this time the composer was in poor health, overworked, and grief-stricken by the death of his sister Fanny. Mendelssohn died on 4th November, aged 38, leaving Elijah as his last masterpiece. Christmas Celebration by candlelight. Christmas Concert 2017. A concert of enchanting Christmas music spanning over two and a half centuries will be presented by the Athenaeum Singers in The Minster on Saturday 2nd December. The enticing programme has been put together by the singers’ Director of Music, Edward-Rhys Harry, who will also conduct the concert. The singers have been meticulously prepared in their weekly rehearsals by their talented and energetic Chorus Master, Rosie Howarth, who was recently joined by their Director at a full day workshop in preparation for the event. The Minster will be adorned by candlelight for the concert and the festive atmosphere will be bolstered by wine and mince pies during the interval. Simon Dinsdale, sub organist at The Royal Military College, Sandhurst, who travels extensively as a concert accompanist and cathedral organist, will accompany the singing on the Minster organ. The earliest work to be presented, dating from 1741, is a Christmas selection from Messiah, by GF Handel, one of the most enduringly popular works with singers and audiences alike. Traverse over a century and a half to Saint-Saëns’ Christmas Oratorio, a lyrical piece in romantic style for solo voices and choir. The first half of the twentieth century is represented by Vaughan Williams’, Fantasia on Christmas Carols, where traditional folk carols are sung by baritone soloist with choral accompaniment. Four young professional singers will take the solo roles, appearing in a variety of combinations from solos to quartet. American composer Morten Lauridsen, working in the later years of the twentieth century, wrote a piece of huge sensitivity and spiritual depth, O Magnum Mysterium, to convey the great mystery of the mighty God becoming a new born baby in a manger. His aim was to ‘illumine through sound’, attained through sustained choral lines which interweave and produce ethereal harmonies of haunting beauty. This most recent composition completes the programme for the evening. In September 2017 some of our members joined with Corsley Festival Choir to travel to Erl in Austria to take part in a concert performance of the Mozart Requiem. Here is an article from the local press. There may be much talk about Brexit but there are no frontiers when it comes to music and what one actually hears; and Mozart brings everyone together anyway. Thus it was that late on Sunday evening about 180 musicians from several countries stood on the stage of Erl’s Passion Play hall and surmounted their national borders. Hailing from the Tyrol (Kufstein’s choir and Erl’s chorus with woodwind players from in and around Erl), from Germany (Rosenheim’s Music Association), and from England (The Corsley Festival Choir), they mounted the stage with Drummond Walker – the Erl and District choir’s choirmaster, who is English – to perform Mozart’s Requiem. This international ensemble was completed by the quartet of soloists, namely Diana Amos, Susan Maclean, Markus Herzog and Daniel Lewis Williams. Over recent months Walker had led his choir to new musical heights and inspired it to be more ambitious. Mozart’s Requiem, parts of which were completed by his pupils, is very well known, extremely tricky, and taxing for all the musicians. The demands of the work go far above the standard repertoire of any active choir. On top of which Walker had to bring several choirs together in the course of only a few joint rehearsals. This then came off superbly on the day. The combined choirs, numbering no fewer than 160 voices, sang the Kyrie eleison fugues with astonishing homogeneity and emotion. In the Lacrimosa Walker succeeded in obtaining a superb performance from his musicians. One could tell from the start that a skilled musician was on the rostrum, setting the work on a solid base and deftly handling its not always easy transitions. Equally, the soloists demonstrated that they were right on top of their craft. Just occasionally there were minor problems of intonation from the orchestra, which otherwise played well. In short, it was a successful and moving Requiem and a choral experiment that should certainly be repeated. The enthusiastic audience numbered about 1,500. It is uncommon for a small town choral society to have a major work written for and dedicated to them. The Athenaeum Singers of Warminster will be presenting the world premier of this piece at their concert on 20th May. The premier will take place in The Minster Church of St Denys; a fitting venue for a piece entitled Mass of the Martyrs: A Mass of St Denys. It is inspired by the martyrdom of St Denys, a third century Bishop of Paris, who persisted in preaching the gospel during the persecution of Christians by the Roman Emperor Decius. He was decapitated and legend has it that he walked a further 10kms carrying his head whilst continuing to preach a sermon of repentance. The work has been written as part of a doctoral thesis by the singer’s Director of Music, Edward-Rhys Harry. Most of the choral movements use the words of the Latin Mass, but the soloists tell a different story superimposed on these familiar words, and introduce the modern day sacrifice of victims of terrorism and the plight of refugees. One movement uses the words of Antoine Leiris, whose wife was a victim of terrorist attack in Paris, with its message of victory over hate. The four soloists for the concert have been engaged for their experience in opera and/or musical theatre, for the production will not follow concert format but will unfold in dramatic form. The British Sinfonietta, a leading independent professional orchestra, will provide the accompaniment. The first part of the programme will feature Haydn’s Te Deum, a joyful and exuberant piece of praise and celebration. From an Allegro opening it moves into a slower more contemplative middle section before returning to an allegro ending with syncopated rhythms. It is a joyous piece to sing and joyous to hear. Fauré’s beautiful Requiem follows, a work which the composer described as being ‘dominated.... by a feeling of faith in eternal rest.’ It was written as a tribute to his father and delights in rich, expressive melodies and a calm and peaceful sense of solace. The singers welcome members of Corsley Festival choir who will be joining them for the evening. This concert begins at 7pm and it will be exciting to experience the premier production of a work written especially for the town of Warminster and its Athenaeum Singers. Talented Wiltshire cellist, Beatrice Newman, will return to the county on 12th November to take part in The Athenaeum Singers concert of remembrance. Beatrice, who will be playing with The British Sinfonietta, will perform the moving solo from the Benedictus, in Karl Jenkins’, The Armed Man: A Mass for Peace in Warminster. Beatrice, who grew up in Westwood, gained her early orchestral experience as a member of the West Wilts Youth orchestras based at the Bradford on Avon Music Centre. 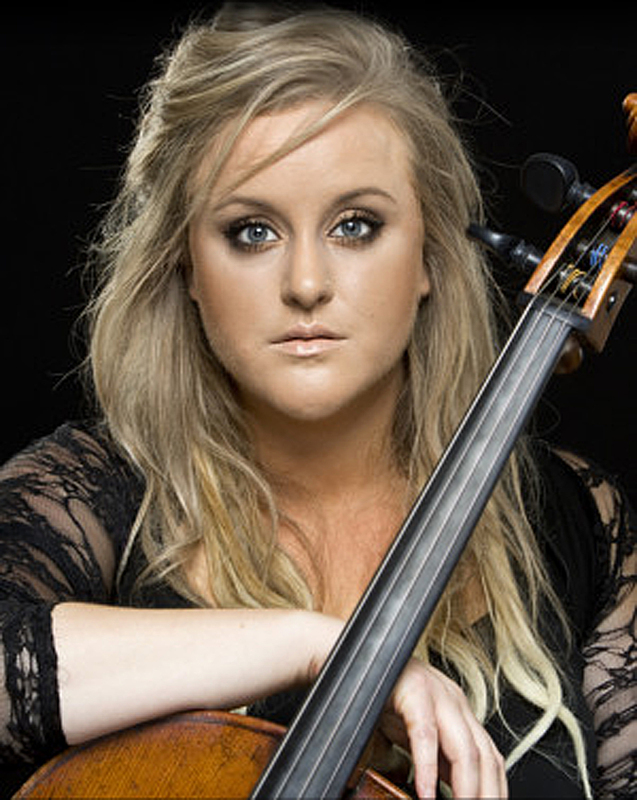 She studied for a degree at The Royal Welsh College of Music and Drama and continued her studies at The Royal Academy of Music with Guy Johnston, gaining an MA in 2013. (Guy performed the same piece in the original recording of The Armed Man which was released in 2001.) She is now a freelance performer and teacher based in Cardiff. The Armed Man: A Mass for Peace, was commissioned for the millennium by Britain’s Royal Armouries. Whilst the framework for this mass for peace is taken from the Christian liturgy, it features other text from a variety of sources around the world including the French poem from which it derives its title, L’homme Armé, with its message, ‘The armed man must be feared’ . The programme features another favourite of the choral repertoire in the John Rutter Requiem which combines English and Latin text in its portrayal of repose. It is especially appropriate for the theme of remembrance as it takes the listener through alternating experiences of reflection, hope and triumph. Rutter is regarded for his writing of glorious melodies which are well exemplified in the soprano solo, Pie Jesu and his setting of Psalm 23, The Lord is my Shepherd. The Athenaeum Singers have been preparing for this concert under their new chorus master, Rosie Howarth. The British Sinfonietta returns to Warminster to accompany the programme, which, with professional soloists, will be conducted by Director of Music, Edward-Rhys Harry. The performance will be held in The Minster Church of Denys at 7pm on Saturday 12th November to mark Remembrance Day. Warminster Civic Centre will resound with songs of love and longing, freedom and oppression, seduction and betrayal when The Athenaeum Singers present ‘A Night at the Opera’. This concert at 7pm on Saturday 18th June will include extracts from great operas which tell stories of the human experience with drama and passion. The melodies will be familiar to many and most of the pieces will be sung in English. Soprano soloist Mary Pope will portray a saucy seductress in Bizet’s Habanera from the opera Carmen, in contrast to her tragic lament from Henry Purcell’s Dido and Aeneas. Mary is a graduate of the Royal Northern College of Music who has performed extensively in recital and oratorio in addition to operatic roles. She will be joined by baritone soloist Paul Fletcher, a former member of Bath Abbey choir and also the Bath Light Operatic Group. The Athenaeum Singers will make up the chorus of fast changing characters, from islanders to soldiers, voyagers to slaves and from pilgrims to heavy drinkers. Their contribution includes The Humming Chorus from Puccini’s Madame Butterfly and Verdi’s Chorus of the Hebrew Slaves from Nabucco. Accomplished rehearsal accompanist, Douglas Stevens, who does so much to aid the singers each week, will accompany on the piano. Instrumentalists from the British Sinfonietta will convey the excitement of the original scores, with strings and woodwind, brass and percussion sections to portray the full flavour in a small venue. At the helm will be the singers’ Director of Music, Edward-Rhys Harry, who recently led a full day rehearsal concentrating on the performance of opera. His deep love for the music and his considerable ability to shape and blend the sound of the choir will underpin the singing. Regular weekly rehearsals are led by Chorus Master Patrick Barrett. He is a teacher of immense skill and understanding who is able to draw on a range of specific techniques to support the voice which the choir have found valuable and enjoyable. His approach has been described as ‘master class techniques for an amateur choir’. Delicious canapes will be served during the interval and a licenced bar will be open before the concert and during the break. This evening is a contrast to the Athenaeum Singers usual classical repertoire and they look forward to a new venue and presenting glorious melodies and rousing choruses. Three members of the Athenaeum Singers Committee retired from their roles at last week’s Annual General Meeting. In his letter to the choir following the recent concert, Director of Music, Edward- Rhys Harry paid tribute to committee members who had ‘given of themselves for the good of the choir’. Paddy Yerburgh was a founder member and has served as honorary secretary for 16 years, during which time she has taken on more and more responsibility. She has worked tirelessly with different musical directors, and the smooth running of the concerts has been down to her willingness and efficiency. Treasurer Martin Gairdner’s acumen has kept the finances in a healthy state and enabled the choir to take on ever more ambitious projects. Auditor of the accounts, Mike Stanley commented on Martin’s ‘great book keeping and attention to detail’. He has carried out his long stint of nine years as treasurer with humour, efficiency and wise counsel. Carolyn Lewis has reached the end of her five year term as Chairman during which she has steered the Singers through choppy waters. In his tribute Edward – Rhys Harry stated that ‘thank you did not seem enough’. He commented on the sensitivity Carolyn has shown to the needs and concerns of the choir and her selfless commitment, always ‘carrying the care of the choir in her heart.’ The incoming Chairman Jo Casey said that committee meetings had always been pleasurable under Carolyn’s leadership. The huge commitment of time and skills the three have brought to the choir was recognised at the meeting and gifts presented to them from the grateful choir members. They will continue to enjoy singing with the choir. Appointed as their replacements, Helen Schroeder will take the role of Secretary, Richard Stokes, Treasurer, and Jo Casey as Chairman. The Athenaeum Singers’ approaching concert in Warminster on 28th November will combine a firm favourite of the choral repertoire with some of the best of contemporary writing. Mozart’s Requiem conveys the meaning of the textwith power and drama. The modern pieces are of varying styles but all are characterised by the glorious sounds createdby the shifting and interweaving voice parts. Conductor Edward-Rhys Harry’s piece, Et tu Bethleèm will receive its first public performance during the evening. In it the words of the prophet Micah foretell the comingof the Christ Child. Ubi Caritas, written in 2001 by Ola Gjeilo, draws its inspiration from the Gregorian chant tradition, and a setting of Ave Maria by Paul Mealor evokes beautifully the feelings of comfort and peace intended by the composer. Sure on this shining night by the much admired American composer, Morten Lauridsen, completes this section. Mozart composed his Requiem in response to a commission in 1791 but only started composing in earnest in the autumn of that year. By 20th November he had fallen ill and he failed to complete the piece before he died on 5th December. His father had passed away a fewyears before and perhaps this and the closeness of his own death explains his vivid portrayal of the Mass for the dead. His motet, Ave verum corpus, composed in the same year, is included in the programme. Soloists for the evening are young singers who are embarking on professional careers and combining this with further post graduate study. Soprano Angharad Davies originates from and continues to study in South Wales whilst contralto Beth Moxon is pursuing her interest in opera at The Royal Academy of Music. Rhodri Jones (tenor) and Ben Tomlin (baritone) will be making a return visit to Warminster following their appearance with the singers in The Crucifixion earlier this year. In addition to their roles in the Requiem, Angharad and Rhodri will also present solo pieces. Gary Desmond from Bath Abbey will accompany on both piano and organ during the evening. Chorus Master Patrick Barrett continues to inspire the singers to greater heights with his boundless energy and skilful teaching. He will be sharing the podium with Edward-Rhys Harry during what promises to be a delightful evening, flavoured by drinks and mince pies in the interval. The Athenaeum Singers recently enjoyed a Saturday workshop preparing for their Palm Sunday performance of The Crucifixion, by John Stainer. Guided in the finer points by their Director of Music, Edward-Rhys Harry, and accompanied by a long standing friend of the choir, Alan Burgess, the choir studied not only the music but how to bring the text to life. Edward’s lively approach and sense of humour ensured an entertaining, as well as productive, day. Vocal training and a preview of the Brahms Requiem, to be performed this summer, complemented the day. The Crucifixion was written with the intent of providing a Passiontide Cantata to which congregations could immediately relate. It draws on the Gospel accounts for its narrative, and uses soloists and choir in a variety of roles to meditate on the events leading up to Good Friday, and includes participation from everyone in the congregational hymns. Ben Tomlin, currently studying singing in Cardiff, will sing the bass solos, and student at The Guildhall, Rhodri Prys Jones will sing the tenor role. Both bring experience and expertise to the podium which belies their age. David Whitehead, a former organ scholar at Bath Abbey and St Paul’s Cathedral, will bring out the richness of the organ accompaniment. Edward-Rhys Harry has renewed his association with the choir after a break of several years. In the role of Director of Music he will plan and conduct the performance. He is aided in weekly rehearsals by Chorus Master, Patrick Barrett, a Masters student in Choral Conducting from the Royal Welsh College of Music and Drama, who has already endeared himself to the choir with his energy and dynamism, his high expectations and attention to detail. This trial collaboration is a new and exciting venture for The Athenaeum Singers and they are benefitting from the skills of two highly talented musicians. The Athenaeum Singers are proud to bring this event to the people of Warminster and the surrounding villages. The performance in The Minster Church on the evening of Palm Sunday will be without charge, but there will be a retiring collection to help the Minster with costs related to preservation of the building. To commemorate the 100th Anniversary of the First World War, Warminster’s Athenaeum Singers will present a concert For the Fallen on 29th November. A retiring offering will be taken for the military charity, Combat Stress. The concert will feature Edward Elgar’s Spirit of England , first performed in 1917, which puts to music three works by the noted war poet, Laurence Binyon. The suffering of the First World War had a profound effect on Elgar and he dedicated the piece ‘to the memory of our glorious men’. The orchestra will perform Samuel Barber’s, Adagio for Strings and a piece by local composer, Paul Carr completes the programme. Requiem for an Angel was commissioned by The Athenaeum Singers and received with much acclaim when first performed by them in 2006. Some movements of this melodic piece use the words of the Latin Mass, but these are entwined with other texts to create ‘a comforting expression of love and compassion’. Soprano soloist Rhiannon Llewellyn, who continues her study at the Royal Academy Opera, has amassed an impressive array of awards in recent years. The Athenaeum’s previous performance of the Requiem was conducted by the composer’s brother, Gavin Carr. In this concert, the choir is delighted to welcome Gavin as baritone soloist and Paul as a member of the audience. Conductor Jessi Pywell rates Elgar as her favourite composer and is excited to present her choir in this programme of glorious and contemplative music. Warminster’s Athenaeum Singers re-commence rehearsals at Christchurch on Tuesday 9th September. Their next concert at the end of November, ‘For the Fallen’ will be in commemoration of the First World War. It will feature two contrasting pieces: Edward Elgar’s, The Spirit of England, which puts to music three war poems by Laurence Binyon, and Requiem for an Angel, a piece by Paul Carr which was commissioned by The Athenaeum Singers and first performed by them in 2006. Many people love to sing, but may not be familiar with this type of music or the nature of the choir. To give new singers a chance to see what it is all about, the singers’ Director of Music, Jessi Pywell, invites them to attend the first three rehearsals of this term, before making any commitment .After this, they can make an informed choice of whether to join. Experienced choral singers are very welcome but so are those who just enjoy singing and would like to develop their skills. There are no auditions. Why not gather some friends together and give it a go! The choir runs a Studentship scheme to encourage young singers to explore choral music at minimal cost. Another opportunity to sample the singers will be at a singing from scratch evening on Tuesday 21st October, when we will be rehearsing ‘More Songs from the Shows’ as part of the Warminster Festival.